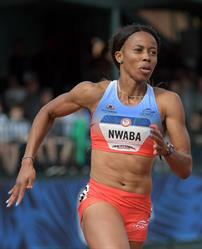 ABEO footwear sponsored heptathlete Barbara Nwaba. WESTLAKE VILLAGE, CA--(Marketwired - July 13, 2016) - ABEO biomechanical footwear, the fastest growing comfort footwear brand in the U.S., is pleased to congratulate ABEO sponsored Santa Barbara Track Club team member Barbara Nwaba on winning the heptathlon at the U.S. Track & Field Olympic Trials with 6,494 points, earning a spot on Team USA in the Rio 2016 Summer Games. This will mark the first Olympic appearance for an ABEO sponsored athlete. 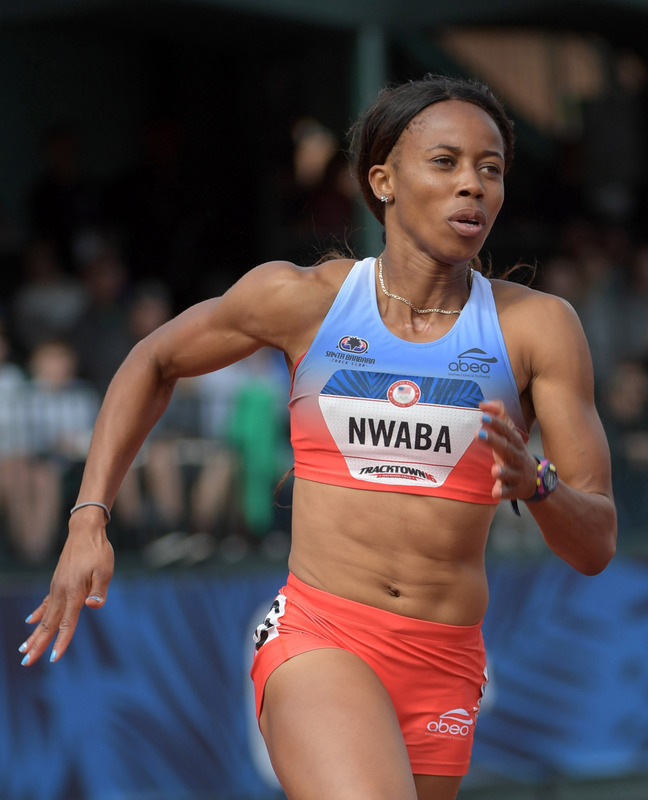 As a world-class athlete with a #6 all-time heptathlon score, Nwaba exemplified her exceptional athletic ability to earn the title of Champion at the U.S. Trials in the heptathlon. "My Olympic journey to this point has required hard work, dedication and determination," said Barbara Nwaba. "I am proud to have the continued support of ABEO not only as a sponsor with the shared goal of helping me achieve my dreams, but for providing me with excellent comfort and performance footwear options both on and off the track." A Southern California based company, ABEO features several biomechanical collections including sandals, casuals, athletic styles, and more, and is pleased to provide Nwaba and the Santa Barbara Track Club with customized footwear solutions for the ultimate comfort and support in their everyday lives. "We're thrilled to congratulate Barbara and the entire Santa Barbara Track Club on this amazing accomplishment," began Lee Cox, president of ABEO footwear. "This marks the first athlete in our new brand ambassador program to qualify for the U.S. Olympic team, and we look forward to the continued success of Barbara and future ABEO sponsored ambassadors." ABEO biomechanical footwear includes several collections: B.I.O.system sandals and shoes, AEROsystem athletic performance shoes, SMARTsystem walking shoes, LiTe lightweight athletic shoes, 24/7 everyday styles, R.O.C.S rocker bottoms, and 3D3 orthotics. For more information, visit abeofootwear.com. Follow Barbara on her road to becoming the "World's Greatest Female Athlete" at the 2016 Rio Olympic Summer Games at abeofootwear.com, or follow ABEO on Facebook, Twitter and Instagram. Started in 2010, ABEO® biomechanical footwear™ has quickly become the world's fastest growing comfort footwear brand. ABEO infuses advanced biomechanical technology into modern shoe designs with superior support and comfort to enhance total body health and overall wellness. ABEO's seven signature collections include: B.I.O.system® sandals, boots and shoes, AEROsystem® athletic performance styles, SMARTsystem® walking shoes, LiTe™ lightweight athletics, R.O.C.S™ rocker bottoms, 24/7™ everyday styles, and 3D3® orthotics all offering exceptional comfort for everyday wear. For more information, visit www.abeofootwear.com.